Some 25 children turned out for Sammy`s Easter Party held in Charlie D`s at East End Park on Sunday 13th April. Sammys Easter Party was held on Sunday 14 April at 1.00pm in the Kingdom Suite at East End Park. Mr Barking was the entertainer. About thirty Sammy’s Gang members came along to the Kingdom Suite at East End Park on Sunday 1st April to enjoy Sammy’s Easter party. Sammy was so excited about his Easter Party. The party was held in the Gallery at East End Park on Sunday 10th April from 1.00pm – 2.15pm. Sammy`s Easter Party was held on Sunday 28 March in the Kingdom Suite at East End Park. Sammys Gang enjoyed the Easter Party with Sammy on Sunday 29th March. Sammy`s Gang`s Easter Party was held in the Kingdom Suite at East End Park on Sunday 1st April. There was the usual entertainment from Mr Barking and a special Easter Story from Sammy. Sammy`s Gang enjoyed their Easter Party in the Kingdom Suite. Twenty five members were entertained to games and a story from Sammy`s Book. Sammy enacted the story bringing the house down with his usual erratic carry on. Young fans who would like to join Sammys Gang or the Young Pars can do so at the Young Pars stand at the East End Park Open Day on Sunday 14th May. 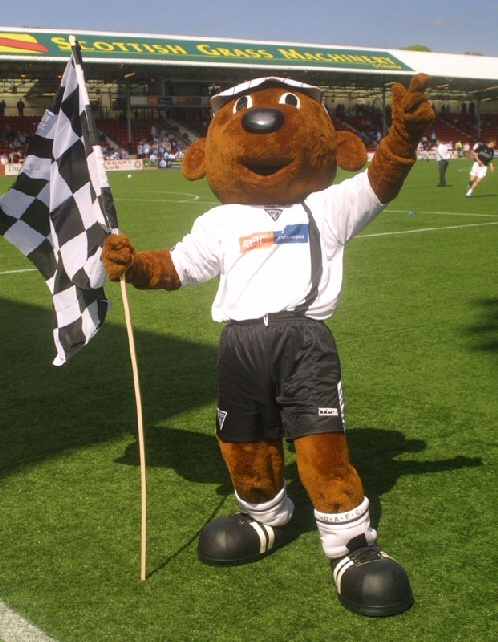 Sammy`s Party was held on Sunday 15th May at the early time of 11.00am to allow Sammy and supporters to get up to Dundee for the important SPL match against Dundee United that afternoon.